Hand-engraved cross pendant features one 1-point genuine diamond accent in center of cross. 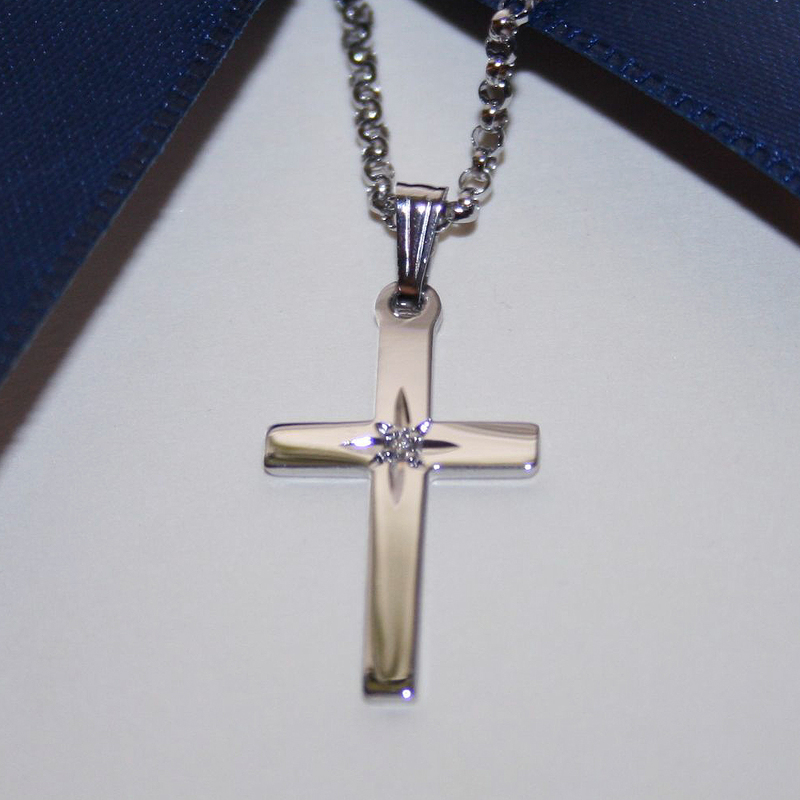 Pendant measures approximately 25.4mm x 12.7mm (1.0in x 0.50in) including bail. 18-inch sterling silver rhodium rolo necklace chain included.